RedBud Earrings. 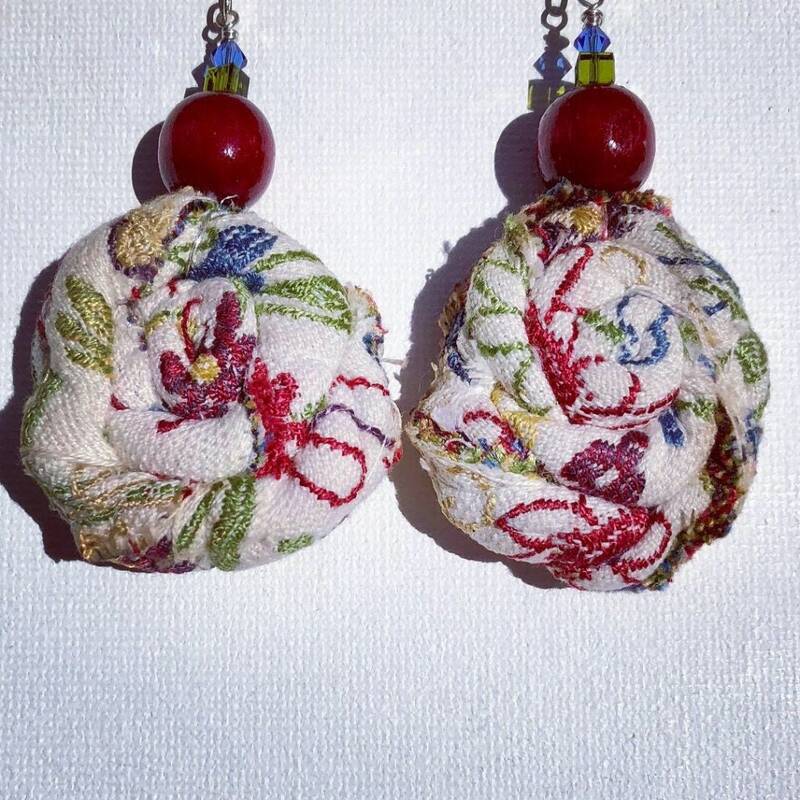 Upcycled floral upholstery fabric flower buds, with wooden red beads. 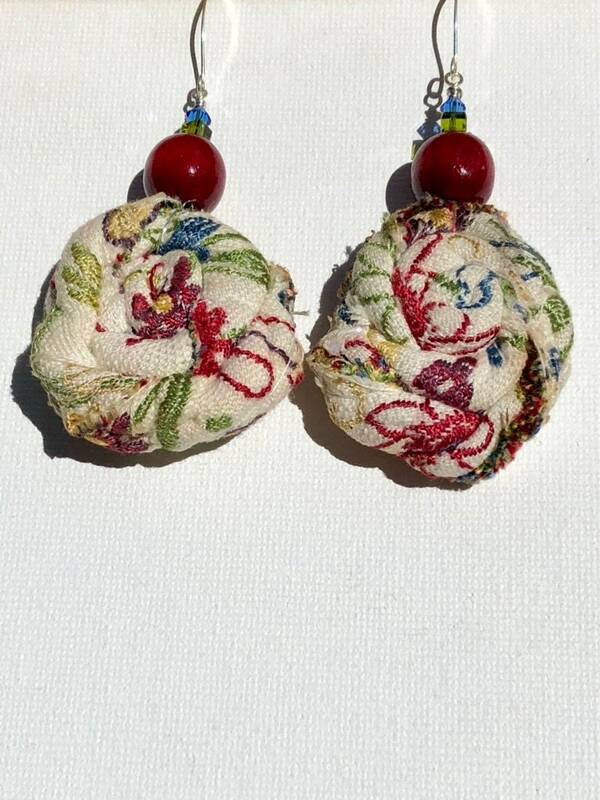 These flower buds have been handmade by upcycling floral upholstery fabric. To complement the design the flower buds have been topped with a deep rich red wooden bead and two Swarovski beads in matching colors. These earrings are bold and a statement.